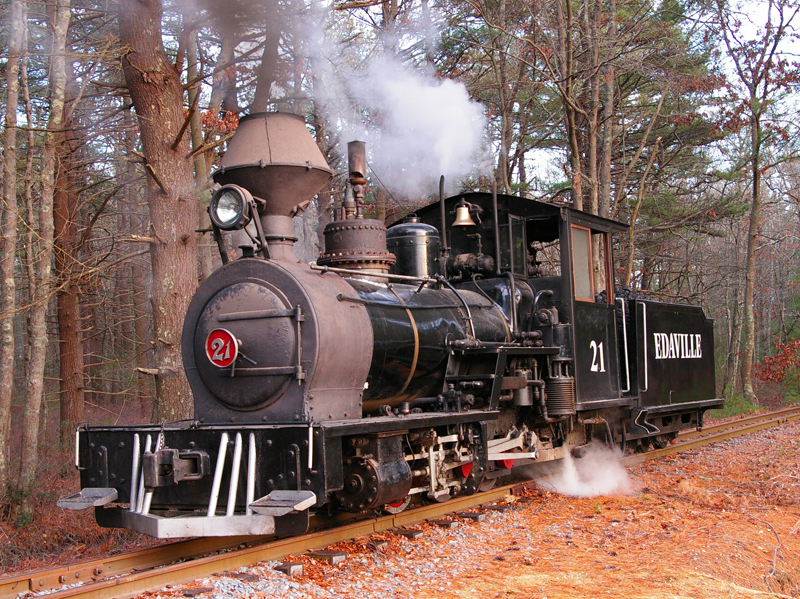 CARVER – The distinctive chug, hiss, whistle and vapor trail of a steam locomotive is once more filling the air at Edaville USA now that engine 21, Anne Elizabeth, is back on the track and pulling delighted patrons around the historic park. Built in (year? ), by Hudswell, Clarke & Company, LTD, in Leeds, UK, the Anne Elizabeth eventually found its way to a sugar plantation on the Pacific island of Fiji. A locomotive broker secured the engine from the estate of the late Lindley Bothwell of California in 1996. Before she began her career at Edaville, the Benson Mountain Company of Pasacoag, RI, converted her from a coal burner to an oil burner. The crew at Edaville converted the Anne Elizabeth back to an authentic coal burner. 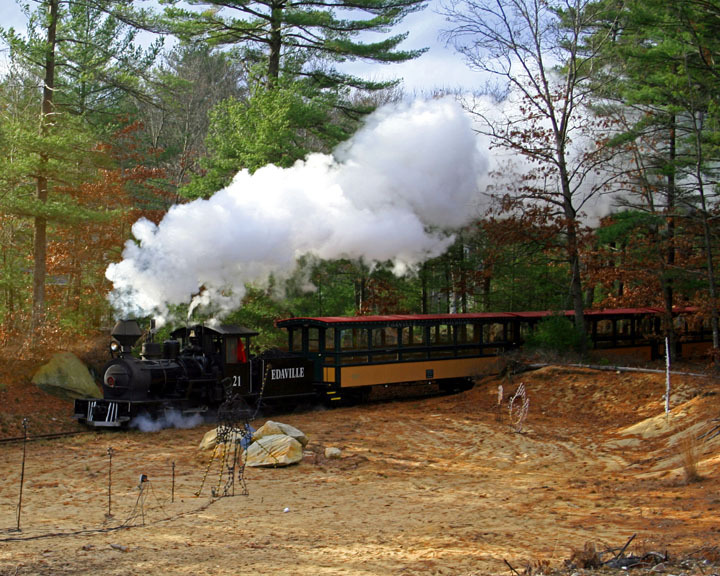 However mechanical problems often sidelined the historic engine, which last ran some five years ago. With the decision by owner Jon Delli Priscoli this year to take Edaville off of the market and refurbish the park, it was only a matter of time before the Anne Elizabeth made her reappearance to the delight of park goers young and old. Right now, the Anne Elizabeth is scheduled to run on December 6, 9, 10, 11, 12, 13, 16, 17, 18, 23, 29, 30, 31 and January 1. A diesel locomotive will haul the train on other nights, but that schedule is subject to change. On particularly busy nights, the plan is to put both locomotives in service. Previous Topic: What Train is Running Around Your Tree This Year?